"Kraft has been working with the PLUS+1 platform since its inception and used that collective knowledge and experience to address IROCK's challenges," said Jake Dewetering, Account Manager of Distribution at Danfoss. "The company was in IROCK's offices frequently, going over functionality, checking on progress – Kraft brought Danfoss solutions directly to them." The result was a software solution that eliminates human error, ensuring the engine is never overloaded. 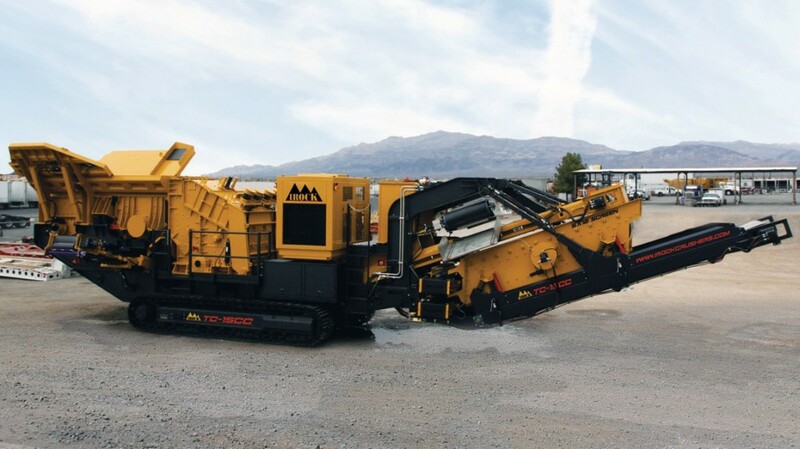 "Now, when the engine reaches a threshold leading to potential overload, the Danfoss PLUS+1 controller software automatically derates the feeder speed, or stops the feeder entirely, to divert horsepower toward the crusher," said Crowder. The software immediately reduced downtime previously associated with the engine stalling, and it increased throughput. "In the end, we created a smarter, more competitive machine that uses horsepower management to reduce downtime," said Adam Crowder, Territory Manager at Kraft Fluid Systems.